The ideal base to explore everything that Scotland has to offer including golf, fishing, walking, climbing, skiing, shooting, castles, palaces and whisky trails. The city centres of Edinburgh, Glasgow and Aberdeen are only one and a half hours drive. 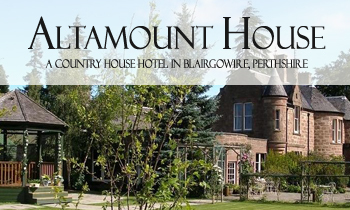 With Perth & Dundee only 20 minutes by car. 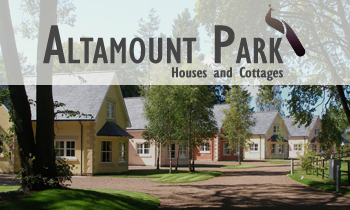 Accommodation within the 10 acres of grounds, gardens and woodlands of Altamount Park in the market town of Blairgowrie in the heart of Perthshire central Scotland. Set in the 10 acres of parklands are 5 self catering houses with four en-suite bedrooms that sleep eight and 5 self catering cottages with two bedrooms and two bathrooms that sleep four. These all provide spacious luxury accommodation. 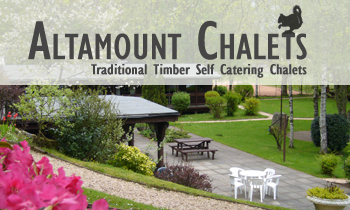 Within our woodlands there are 17 self catering chalets of varying sizes sleeping 2, 4, or 6 people. We are a family run business that aims to provide guests with a warm and friendly home from home experience. In total we can accommodate up to 170 guests. Please click on the images below to visit the respective website.